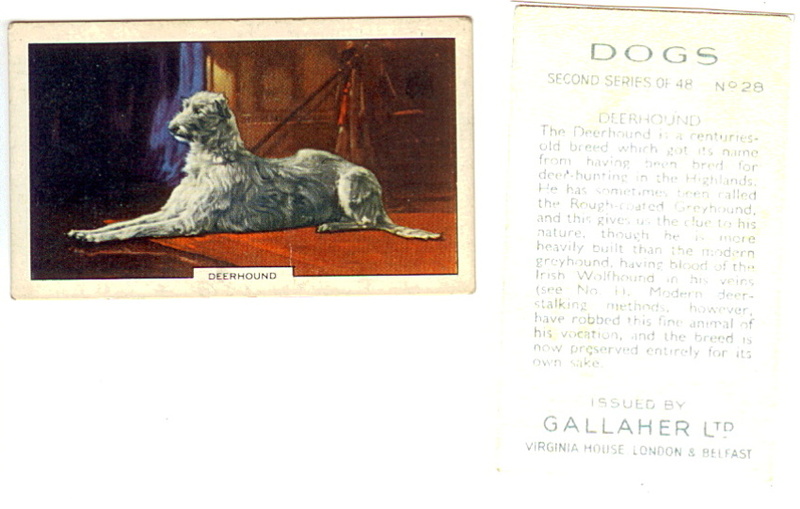 I have scan (front and rear side) some Deerhound advertising cards from my collection. Sorry for the quality - the cards are circa 70 - 80 years old. Last Edit: 9 years 2 months ago by Joerg Yoki. A second card from my collection. Wow Joerg - you have a fabulous collection! I'll second that, wonderful collection of stamp, cards and all sorts. You're sure an avid collector. These are superb Jeorg. 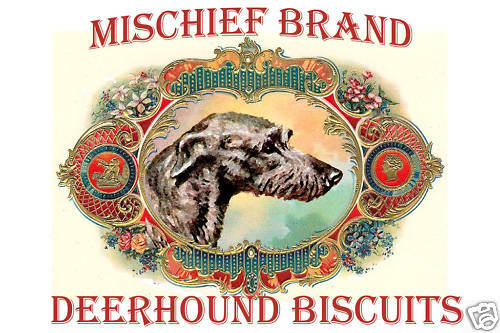 Nice little bits of deerhound art. So what's the story with these cards? 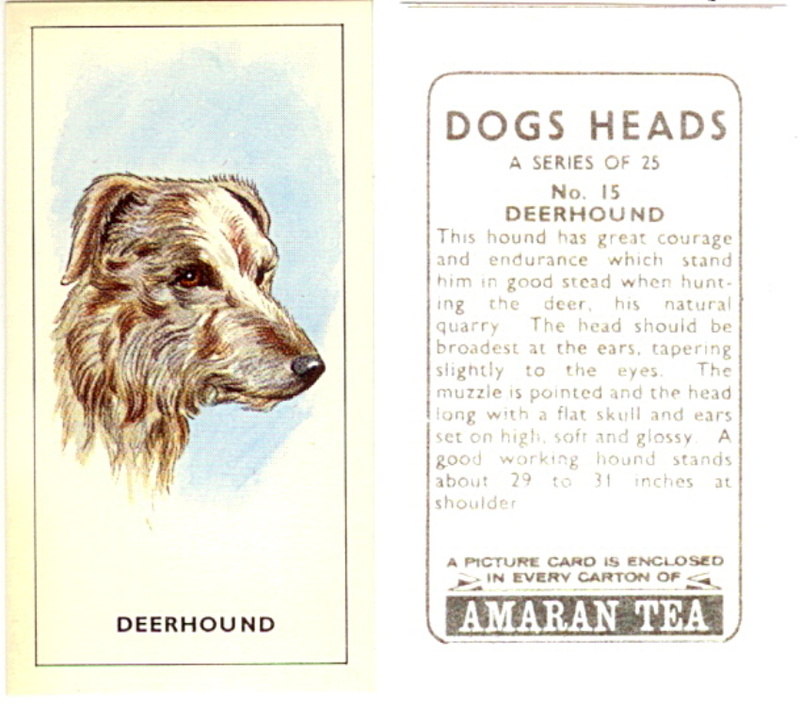 Were they popped into boxes of tea or part of the packaging or what? 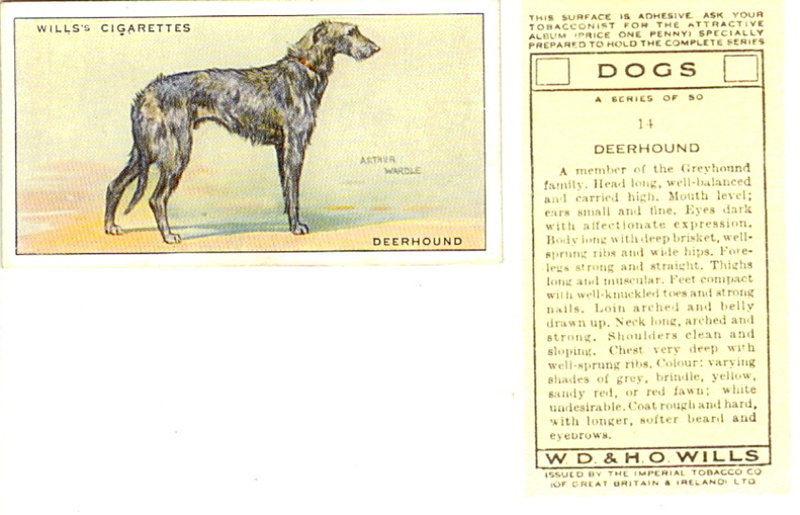 And the cigarette cards - part of the pack or a prize inside or? 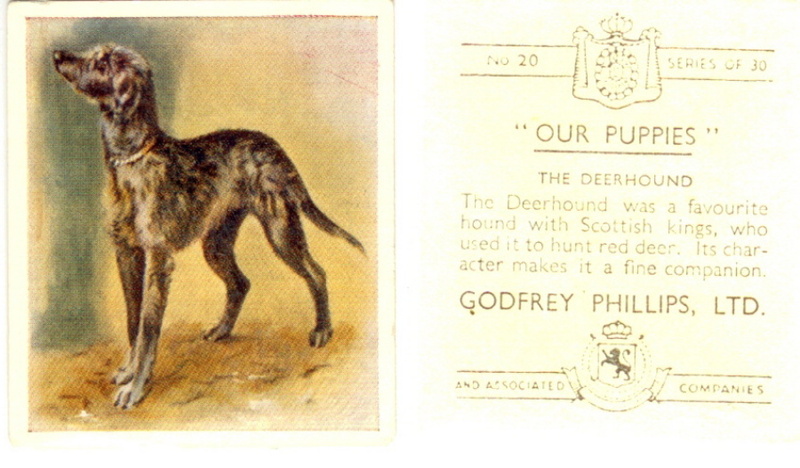 And is it true that Scottish Deerhounds were featured in all sorts of advertising and in a number of countries, not necessarily Scotland? I'm curious to know. Come to think of it, who were the artists, because they knew a thing or two about capturing the true likeness of our breed. Many thanks for your interest on my collection. You are a collector also? 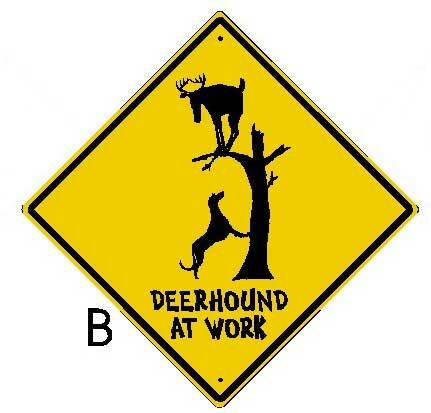 A very funnily Deerhound shield. A very nice advertising shield. Is it a tin shield? Today I have special collection over dogs, wild dogs and wolves (stamps ,first day covers ,cards ,shields ,coins ,figures ,plates ,books and pictures). Hi Jeorg, I collect the cards too hand have about a dozen or so. They are a nice item to collect and look great framed. Are your cards from the UK Companys or another?